What is a Mormon Wedding like? We assume that you mean a Mormon temple wedding. 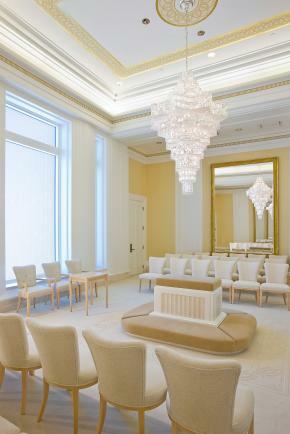 There are over 140 Mormon temples worldwide, and in them marriages are performed. 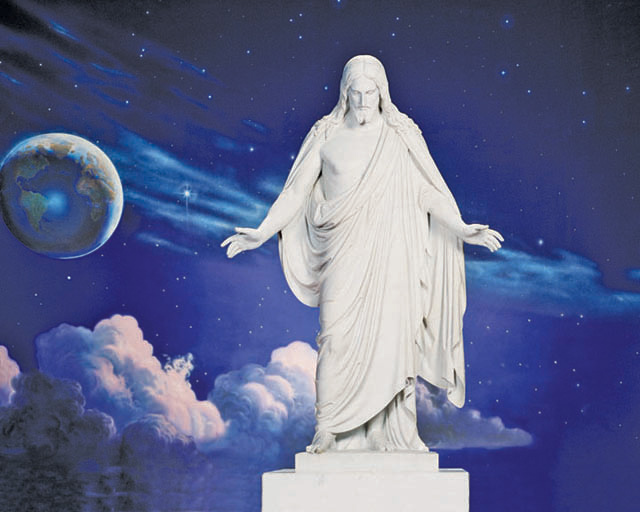 Marriages performed in Mormon temples are called celestial marriages, or eternal marriages, because the covenant is meant to last beyond the grave and into the eternities. These marriages are also called “sealings.” Because these marriages are performed in the House of the Lord, purity is central to the occasion. A bride and groom must qualify to enter the temple and be married there. Only the worthy can enter the temple. 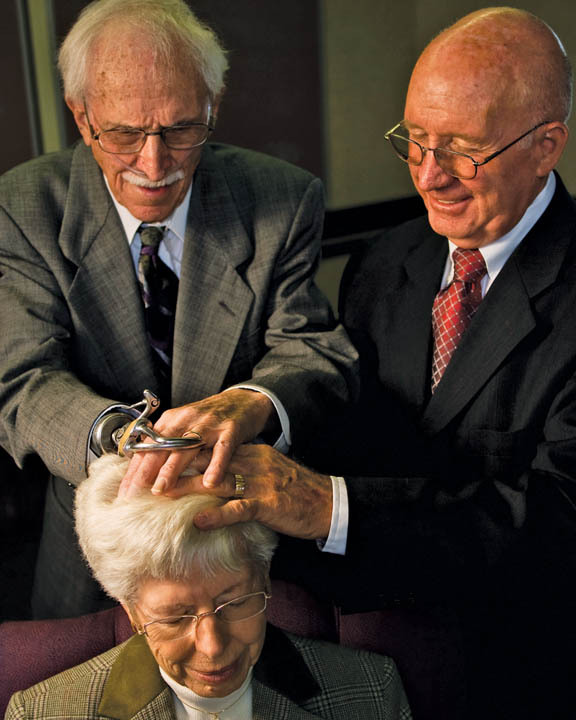 People who desire to be married in the temple have been prepared beforehand through a “temple preparation class” or in their homes and other religion classes (such as seminary classes or institute classes), so that they have a knowledge of gospel doctrine and understand what a temple marriage covenant means. They may have already taken a marriage class, too. It is understood that a temple marriage covenant remains binding only if the participants carry on in righteousness and honor the covenant they have made. Obviously, this covenant is serious, but a Mormon wedding celebration is still joyous and fun. The only mandated part of a temple wedding is the sealing ceremony itself. Bride and groom are free to wax creative with all other aspects of the celebration ─ a reception or party, dance, honeymoon, bridesmaids, groomsmen, food to serve…it’s all up to them. A bride and groom will reserve a date and time for their sealing to take place. Most temples have “sealing rooms” that vary in size to accommodate fewer or a greater number of guests, but it’s rare that a sealing room will seat more than 50. All guests have to be temple-worthy themselves, and sometimes, this can cause a problem. Many families include members of the Church who are not temple-worthy, or relatives who are not members of the Church at all. Some couples do what they can to try to make these family members feel like they are an integral part of the celebration. Those who don’t enter the temple can wait in the foyer for the bride and groom to emerge, and then participate in a photo shoot. Many couples stage a special ring-exchange ceremony at their reception. Their bishop can arrange to speak to them there and give them counsel. They can express their love and commitment to each other at the ring exchange. This can be a special experience for those who were not guests at the sealing. Each temple has a bride’s preparation room and a room for the groom to dress in. The bride’s preparation room is a beautiful room with dressing tables and mirrors. The guests arrive about a half hour before the scheduled sealing and are guided to a special waiting room before they are ushered into a sealing room. The sealing room will have mirrors on opposite walls that reflect into each other. When the couple looks into one, they will see their image reflected an infinite number of times, representing the eternal covenant. 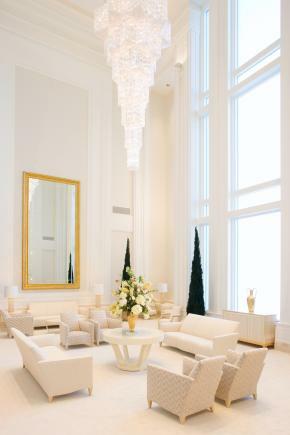 Chairs for guests are arranged around the room against the walls, and there is an altar at the center. The bride and groom kneel on opposite sides of the altar and hold hands across the altar. The “sealer” then performs the ceremony. He gives counsel to the couple typical of counsel usually given to newlyweds, regarding how to love and respect each other. He then recites the covenant, and the bride and groom agree to it, just as in marriages outside the temple. The difference is that this is an eternal covenant with the promise of heavenly reward, and it mandates continued righteousness and commitment. The bride and groom then kiss each other, and exchange rings if they desire. They are then congratulated by the guests. The bride and groom then go back to their dressing rooms. 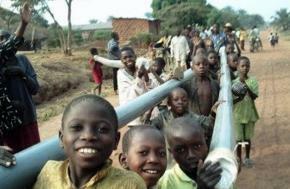 They change, if necessary, and gather their things. The rest of the family greets them outside as they emerge from the temple to take photographs. Except for the signing of the marriage license, this is the extent of the temple wedding. Any reports of anything else taking place, especially if they imply any sort of sexual content, are patently false. I already told David we could not go to the wedding because we are not Mormons. I am wondering if even though I am a confirmed catholic I was wondering if a confirmed catholic could get married to a Mormon? Only Mormons who are living the higher commandments of The Church of Jesus Christ of Latter-day Saints can enter into an eternal marriage in a Mormon temple. However, if a Catholic and Mormon want to marry, they can do so for the duration of mortality wherever else they choose. A good example is the family of basketball great Jimmer Fredette (https://www.mormonwiki.com/Jimmer_Fredette) whose father is Mormon and whose mother is Catholic. Jimmer’s parents gave their children their choice as to which church to join.